Buildworld provides a full range of telephone entry systems and accessories to meet your specific requirements. These come with unique software and are ideal for basic stand-alone telephone entry control. These are ideally suited for residential, apartments, condominium, and business applications. We have telephone based door entry systems from Bell Systems and ESP. These are vandal resistant, offer security, cost effective with each system providing all necessary parts for installing a complete audio door entry system; including a surface lock release as standard. These systems are available in different models and also with all accessories need for their installation. Emergency Procedures are necessary due to legislation to ensure the safety of workers at construction sites and even in residential complexes. Evacuation procedures are necessary for apartment and office complexes as well. For security and safety in case of Fire hazards, certain systems need to be in place, and regular safety drills need to be carried out. At Buildworld, we have Smoke alarms, heat alarms, Door Entry Systems and Fire alarm systems for you for setting up in your workspaces. Every year many lives are lost in the home and workplace fires. A high percentage of deaths occur during fires in which no working smoke alarm is present. Smoke alarms play a vital role to detect fires at the early stages. Smoke and toxic fumes spread quickly compared to flames causing lightheadedness, nausea, respiratory burns, confusion, and sleepiness. Smoke inhalation is the leading of death most fire victims. A fire emergency can happen at any time, even when people are asleep and everyone needs to be prepared for any eventuality. 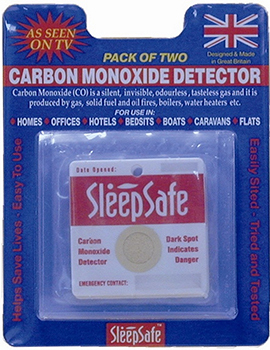 When there is no smoke alarm to alert everyone of the danger, it is possible that these people may be seriously injured due to smoke inhalation or co poisoning which can even result in deaths. With very little time to get out of their homes, smoke alarms provide the warning that is needed to escape safely. Smoke alarms are extremely low maintenance and require testing about once a month. At BuildWorld, we offer a range of smoke, heat, and carbon monoxide alarms that offer protection from the dangers of smoke and carbon monoxide. Door or access control systems elevate your security, and therefore, are much in demand across the UK. Let us consider why such a system is important for homes and businesses.